Ever since I was a little kid I've had an obsession with vintage clothing. Vintage skirts, high waisted jeans, jumpsuits - I love it all! 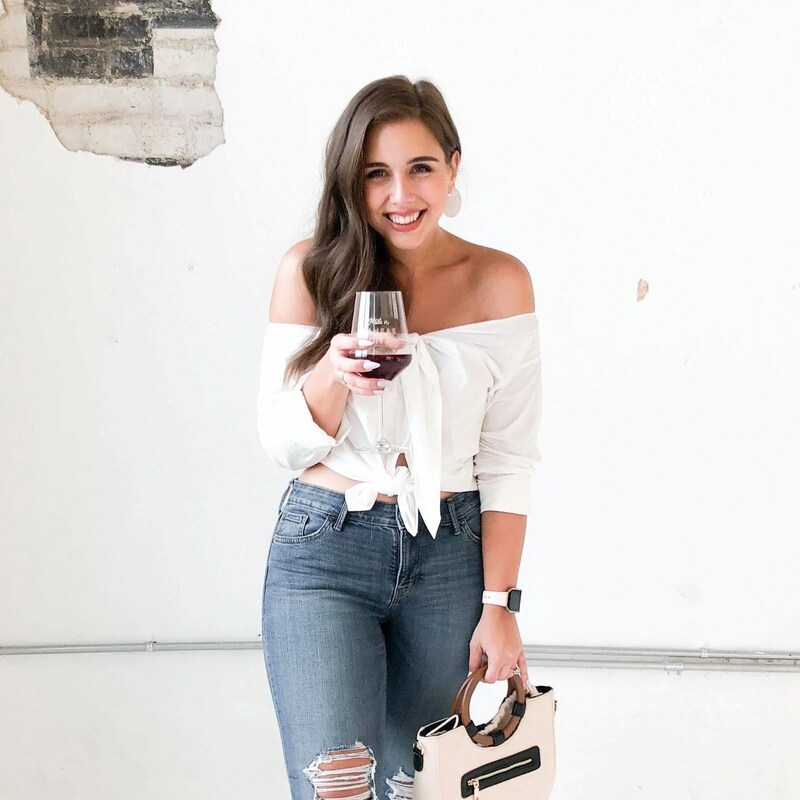 Whenever I break out my favorite retro finds I always get the same questions - how do you know which pieces are worth purchasing and how do you integrate those finds into your existing wardrobe? Read on for my tips + tricks and get details on the grand opening of Peaches Vintage Collective this Saturday! 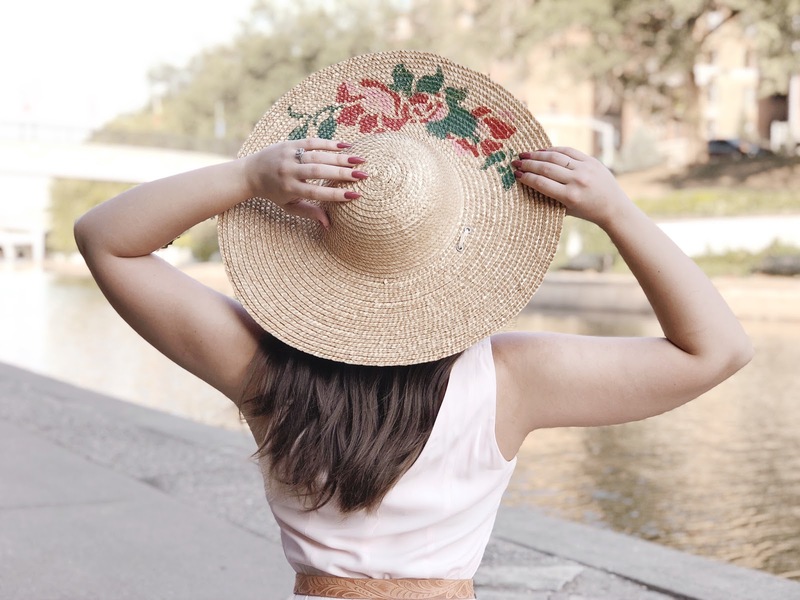 All the pieces in this post are from Peaches Vintage Collective and, trust me, by the end you'll be wishing you were already there shopping! 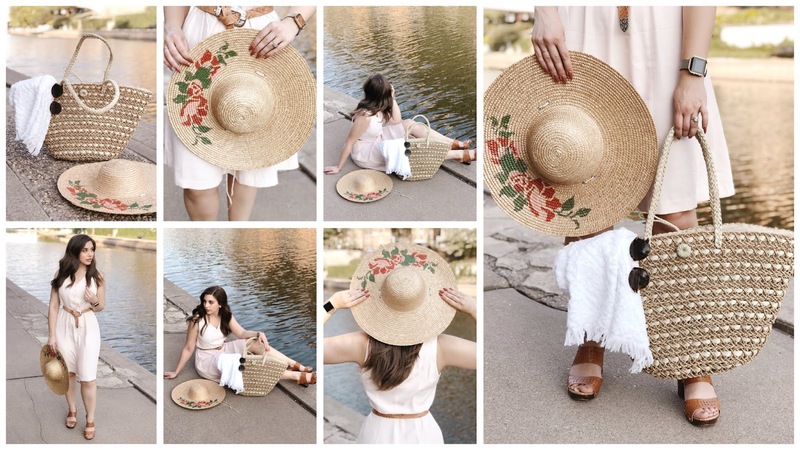 I had the chance to meet Tara, owner of Peaches Vintage Collective, while attending Strawberry Swing's Spring Swing a few weeks ago! Tara is one of those people who instantly knows how to work your best features. Less than a minute into our conversation she'd gathered up a stack of clothes for me to try on. 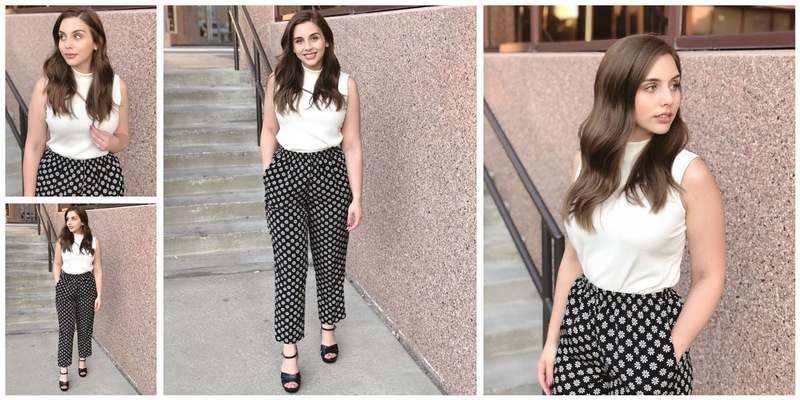 I was shocked that nearly everything in the stack of clothes she picked for me fit and ended up buying two pairs of cutoffs and the cutest polka-dot top! I think it was at that point that we knew a collab was in our future. This Saturday Tara is celebrating the brick and mortar grand opening of Peaches Vintage Collective at 2711 Troost Ave in KCMO! From 12 - 7 you can sip, snack, and shop a beautifully curated selection of vintage clothing + accessories. We Are Sincerely Yours will also have their storefront open for double the shopping fun! I'll also be in attendance to help you find a retro piece you'll never want to retire. I personally don't get hung up on brands when shopping vintage - I just buy what I love. Secondhand stores are great places to pick up super trendy pieces you don't want to splurge on! Not every pre-loved piece has to be classic or a wardrobe staple. I also try to go into every thrift store shopping spree with an open mind. While it's good to have an idea of what you're looking for, the most fun is had when you keep your options open! If you're new to vintage shopping do some Pinterest or Instagram research beforehand. 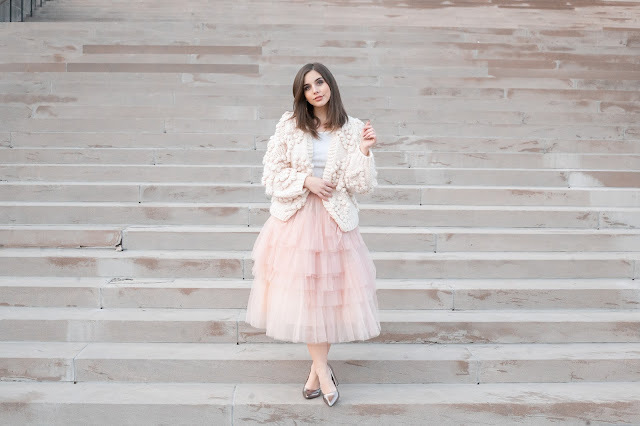 There's so much inspiration out there on how to incorporate thrifted pieces into your wardrobe! Overall, my recommendations for shopping vintage aren't too different than my normal shopping recommendations! - If you try something on and it makes you feel great, get it! If you try something on and it makes you feel great and it's a great deal? Snag that piece up and don't let it out of your sight! - Think about your favorite finds in your current wardrobe. Are there any cuts you really love? Are you drawn to neutrals over bright colors? Do you tend to wear jeans more often than dresses? Use your wardrobe as a foundation to build upon - you know what you love more than anyone else! - Don't let not knowing specifically where or when you'll wear something hold you back from buying it - especially if it's something you really, really love (I know, this is probably a controversial opinion). While I agree you shouldn't let pieces that are one-time-wears clutter your wardrobe, if you love those purple bejeweled pumps that fit you perfectly, go for it! I've had a basket purse I didn't use for years (I'm talking 12+ years) but I couldn't bring myself to get rid of it. Now, basket purses are very much in style and that piece has become a warm-weather staple! - Remember tailoring is an great option particularly when a piece is super affordable and/or really unique. I have the hardest time finding jeans that are comfortable on my thighs but fit my waist. However, if I were to find the perfect pair of high waisted jeans that fit perfectly everywhere but my waist I would seriously consider the tailoring option! Do you have any vintage pieces you love? Are there any pieces you have but can't figure out to style? Comment here, on Instagram, or drop me an email or DM!